The stock market consists of several different exchanges. Besides the familiar New York Stock Exchange (NYSE) and the National Association of Security Dealers Automated Quotations, better known as NASDAQ, a number of other smaller American exchanges also sell stocks. Stock markets are either auction markets or dealer markets. In auction markets like the NYSE, people buy from each other. In dealer markets, people buy and sell to dealers that specialize in a particular stock. The stock market works on the law of supply and demand. If many people want a stock, the price goes up. If few people want a stock, the price drops. The goal is always to buy low and sell high, but no one can accurately time the market every trade. Day traders try to take advantage of a stock's dips and rises throughout the day. Long-term investors feel that a stock will eventually increase in value over time and hold their investments even through daily rises and drops. 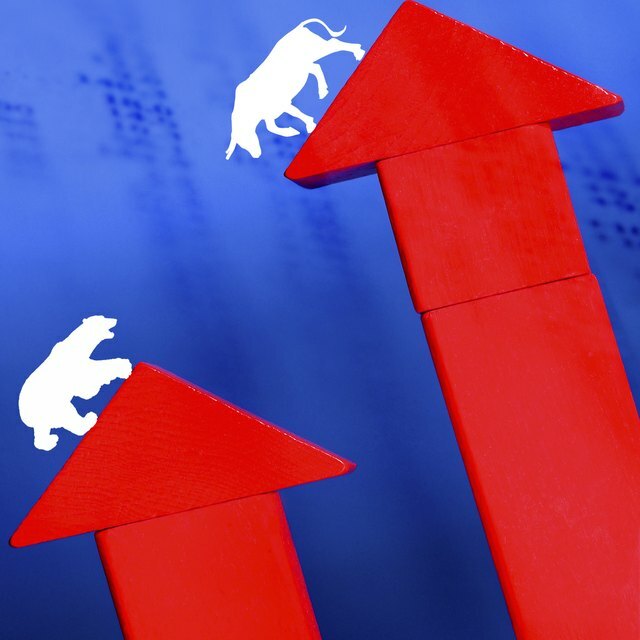 What Is the Difference Between a Cyclical Stock & a Secular Stock? Volume is the number of shares traded for a specific period, normally a trading day. Stocks with a very low volume are difficult to trade. An increase in volume normally indicates some change in the price about to occur. Groups of stock or even a particular exchange can be an index. Since particular types of stocks do better in some economies than others, following an index can be helpful to see if your stock measures up to the performance of others in that index.